I first heard about video blogging a couple of years ago. It seemed that bloggers who were brave enough to take on the technical challenges and public exposure were saying that, with the arrival of widespread fast internet connections, video would be the future of the web. We’ve seen this prediction come true over the last couple of years. Just today I heard a prediction that by 2014, 90 percent of traffic online will be video. Particularly when it comes to technology, it’s now become really easy to make videos for your blog, for selling books, for book trailers, for interviews and for instruction. Partly this is due to the way video has become part of everyday technology through the smartphones so many of us carry around all the time. It’s so easy to grab your phone and make a quick video, and so easy to upload these videos. But video also has lots of challenges, particularly live action video, where people see you talking on camera. You have to get the lighting right, the sound has to work or people won’t watch your videos, and you do need some simple editing software and know how to use it. One of the big changes that brought this home for me, and made it possible to do my own video, was the introduction of the iPhone 4 with its ability to shoot HD video. Okay, you might be skeptical right about now. Can you really make decent video on a phone? Even an iPhone? Good enough to use to introduce yourself to people? Good enough to base a video-oriented course around? Yes, you can. But if you’re like me, you’re going to need some help. Let’s face it, most of us even though we’ve been watching video one way or another our whole lives, don’t have a clue how to get a video to actually look decent enough to use. I was wondering about all this some months ago, when I had decided to create a course on self-publishing to satisfy the growing demand for complete and competent instruction on the whole publishing process. I had just finished a course that was completely delivered in video. I could appreciate just how effective this medium can be in communicating information and giving detailed instructions. But the other thing I really liked about video was the personal connection I felt with the instructor. It was much more compelling than reading a book, even more than listening to audio, the other way I like to take in educational material. But how to get started? What equipment would I need? Could I afford it? Would I have to hire people to do editing and processing? I had no clue about this stuff. As it often happens, right about then I heard about a course that was just opening on how to shoot video with pocket cameras, like the iPhone and the (recently cancelled) Flip Video. The course was very reasonably priced, it covered everything I wanted to know. The instructor, Jules Watkins, was on hand to answer all kinds of queries and help out with equipment recommendations and specific answers to problems students ran into in their own video efforts. Jules has directed hit TV shows including The Biggest Loser and Pimp My Ride and knows a thing or two about how to make videos that attract attention. Well, here’s the great news. I wanted to help Jules promote this terrific program, but he was way ahead of me. He’s now focused a new course specifically on shooting video with the iPhone only. Taking what he learned from the earlier course, he’s made it better, more focused and, at the same time, lowered the price, even though I tried to convince him he had already underpriced his courses. Now Jules is rolling out the new course. He calls it iPhone Video Hero and it’s just launched today. Note: Jules continues to offer his more extensive video course, Pocket Video Power which has more lessons and covers more than just the iPhone. Click the link to check it out. This is the course I took, and I thought it was a terrific bargain at $149. If you’ve thought about getting into video for your blog, for instruction, or for any other reason but you didn’t know how to do it, this is an opportunity you’ll likely be interested in. Does it work? 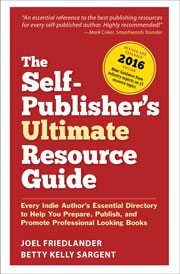 I just completed a run-through of my self-publishing course, and it was a big hit. All the live action video was shot on my iPhone, edited and processed by me, and it went off without a major glitch. I learned to do all that from Jules, and you can too. Bring the power of video to your own communication with readers, fans and followers. It’s easier than it has ever been, and Jules will show you how. All the links in this article are affiliate links, because I think mastering video is going to be more and more important, and this is solid training at a terrific price. Screen capture shows Jules teaching how to hold the iPhone. Well, with the advancement of the technology it is not impossible that most blogs will be in video. However, I do still prefer the writings and the video will just be an additional input of presentation. I do still appreciate the traditional way of blogging. But, still I welcome and embrace change because that will make us succeed. This tips are useful but I guess some point are still needs to be discussed thoroughly. Thank you by the way for posting your ideas. Why not check these video books for children? its educational and its easy to use and mostly, affordable.